My adventures in wool....from raising fiber animals to rug hooking! It looks like she did a little sculpting (or could it be yarn?) and added some fabric and a touch of netting to the wings. Another genius idea! It makes the bees look soft and very, very cool. Brilliant technique, Marsha! I just love this rug!! Those bees are so cute!! Great Job!!! I just love seeing these different techniques. I've only been hooking for a couple of years and sometimes one can get stuck trying to "do it right". But, there are so many ways to a great rug. Thanks for sharing these creative slants! Oh Kris, I love that bee-utiful addition to the rug. Very creative. NEW! Please click on the link above to see my 2017 Travel and Teaching schedule. It's Not Right To Copy! 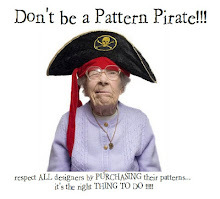 Please respect copyright laws---all images and designs on my blog are protected by copyright! Sign up today for my newsletter! Get the latest information on new patterns and products, plus special offers only for newsletter subscriibers!